The Office of Appeals at the Internal Revenue Service handles some of the most complex tax cases. But staff cutbacks and an anticipated retirement wave threaten its ability to perform timely decision making of the caliber that is the taxpayer’s right, according to a Government Accountability Office report. Appeals staffing levels have shrunk by nearly 40 percent, from 2,172 in fiscal 2010 to 1,345 in 2017, said the report released on Oct. 22 and addressed to the chairmen of the House Ways and Means and Senate Finance panels. One impact on the remaining staff is that “the IRS does not monitor timeliness of all incoming appeal requests and Appeals does not communicate total resolution times to taxpayers,” auditors wrote. What’s more, “Appeals anticipates a continued risk of losing subject-matter expertise given that about one-third of its workforce was eligible for retirement at the end of last fiscal year,” the report added. 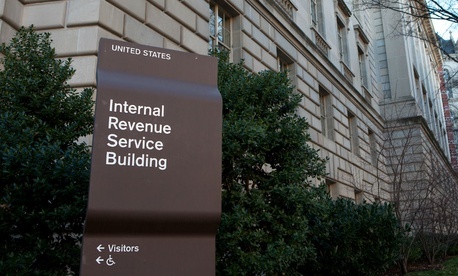 The overall budget of the IRS has declined by 10 percent since 2010, resulting in the removal of 21,000 employees. But the agency remains obligated to respond to all taxpayers who file challenges to added assessments or penalties. Most employees leave through attrition, which in appeals occurred at a 9 percent rate from fiscal 2015-2017, the report noted; a similar rate is projected from 2018-2019. The appeals process, designed to minimize litigation, begins when a protesting taxpayer files an appeal with an IRS specialized examination or collection unit proposing a compliance action and ending with a decision from the Office of Appeals. The tax agency’s Internal Revenue Manual requires transfer to Appeals within 45 days for the largest collection workstream, though managers can seek an additional 45 days for negotiations. “Nearly 90 percent of collection appeals closed in fiscal years 2014 to 2017 were transferred to Appeals within 90 days,” GAO reported, though the time to transfer the requests from examination to appeals varied by type of case. Delays in resolving cases, for example, were noted in the rising number of cases involving innocent spouse appeals, where “officials told us they initially lacked sufficient numbers of trained staff ready to review those cases,” GAO wrote. As of April 2018, the time from receipt by Appeals to case closing for the innocent spouse workstream had increased by 39 percent over the same time period in 2017—from 205 days to 285 days. GAO recommended that the Commissioner of Internal Revenue establish timeframes and monitoring procedures for prompt transfer of taxpayer appeals requests from examination units to the Office of Appeals. It also advised directing the office to regularly report and share with each compliance unit the data on the time elapsed between when a taxpayer requests an appeal to when it is received in the Office of Appeals. The IRS chief human capital officer should conduct a study of the skills gap, GAO said. And auditors recommended that the Treasury secretary ensure that the commissioner provide greater transparency to taxpayers on the historical averages for appeal resolution times. Both IRS and Treasury officials agreed, and the IRS said it is training additional staff and working to resolve the increased volume of appeals cases.